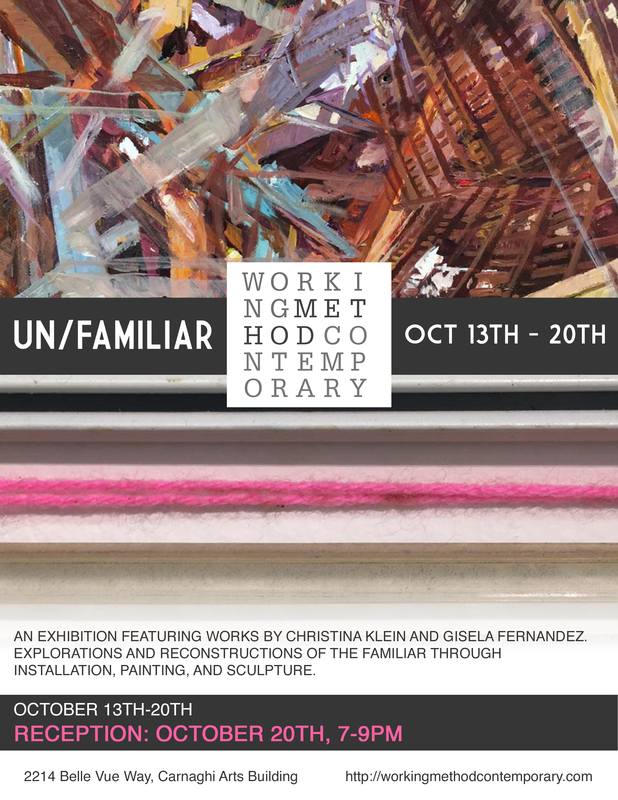 UN/FAMILIAR is an exhibition featuring works by Christina Klein and Gisela Fernandez. This exhibition showcases explorations and reconstructions of the familiar through installation, painting, and sculpture. The exhibition will be held at the Working Method Contemporary Gallery! The reception will be open from October 13th through October 20th. A closing reception will be held on October 20th from 7 to 9 PM.